and forgeries can be tedious beyond compare. Although it may seem hard to believe, according to a report by the AFP, an estimated 50 percent of art circulating on the market is fake. This is bad news for art lovers and collectors worldwide, particularly because it can cost up to €15,000 ($19,000) to verify authenticity of paintings through a range of techniques such as radiocarbon dating, infrared scans, and X-rays. Art museums around the world have even created exhibits specifically showcasing the art and science of detecting fakes. From intrinsic coding to analyzing paint strokes, the science behind identifying fakes and forgeries can be tedious beyond compare. Much like designer handbags, the demand often gives rise to suspect supply. So what is an art collector to do? Though scientific advancements are captivating, why take the time and costly efforts to determine whether a painting is a real van Gogh or a sculpture is actually made by American silversmith, Paul Revere. 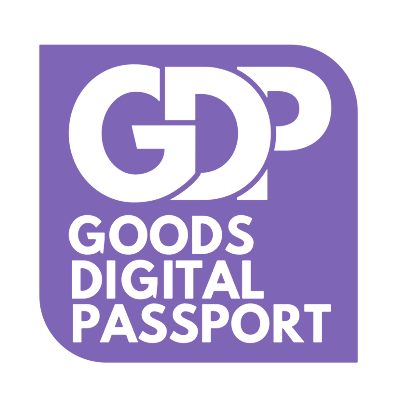 The answer is simple: Goods Digital Passport. Whether you are an art seller showing proof that your piece is authentic or an art buyer who wants to make sure that you are purchasing the original, it’s never been easier to detect a fake from the real thing. GDP allows you to bypass the pricey and time-consuming methods, with the use of blockchain technology. This method ensures an unbreakable, verifiable, decentralised digital chain between a product and its origin. That means, anyone who wants to know the origin of an item with a GDP, can view the origin of that product and its current owner, using its unique QR code. Art sellers or buyers can simply enter a QR code into a web portal or easily scan the code with an app on their phone and determine instantly if the piece is the real deal. This method works just as well with reporting stolen artwork, too. With GDP, art sellers and auctions can instantly prove their work is authentic – and genuinely theirs to sell – simply by sharing a public QR code. GDP is helping end the circulation of fake artwork in an industry riddled with counterfeits.